Asec non-deadlocking lever action nightlatch with internal holdback snib. 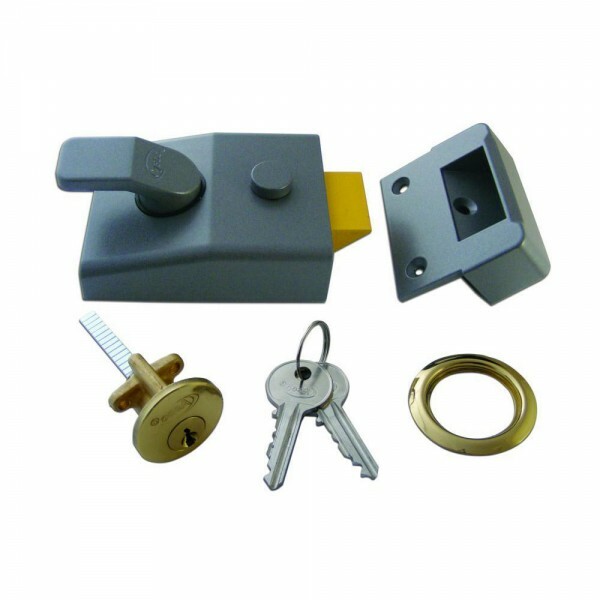 This lock can be fitted onto doors up to 57mm thick (or 54mm if used with a cylinder pull). 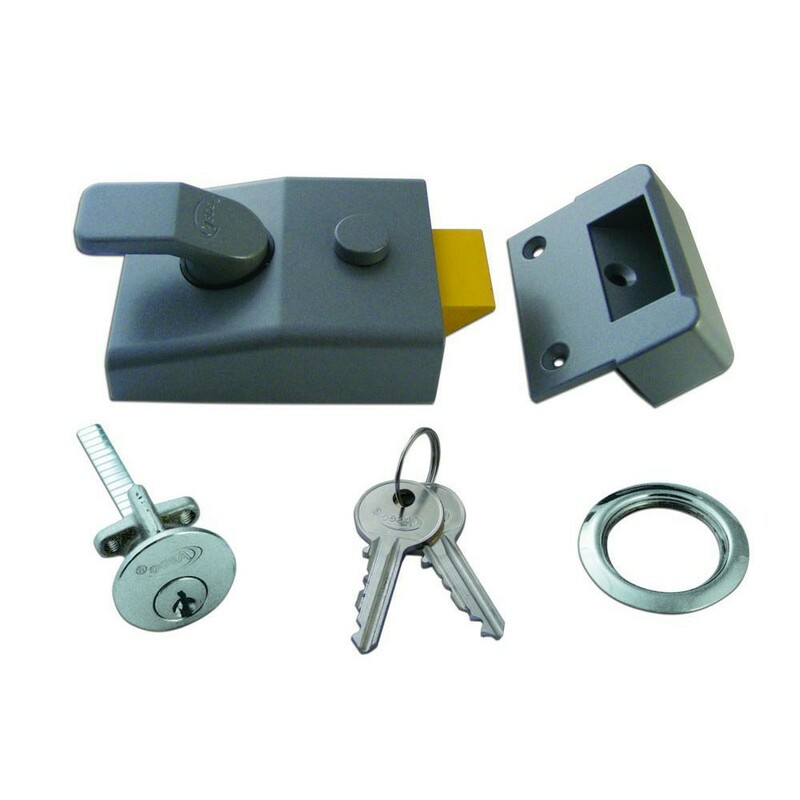 The Asec non-deadlocking nightlatch cannot be deadlocked either from the inside or the outside. This ensures exit without the key is always possible and entry can always be gained with the key from the outside.